Or as I like to call it, the Apple Snap. That could already be the name of a drink, I don’t know. But it’s a better name than Whiskey Cider Ginger so until I learn otherwise, I am going to feel clever and original. A word about cocktails – I never ever make them. Because you can’t make just one cocktail. You’ve chopped fruit, or crushed herbs, or cooked up a batch of simple syrup, so you really need to make 3 or 4 of these…and when you live alone, that can lead to disaster. Or as my friend says, it can just lead to awesome. Despite the lure of awesome, I usually save my mixology for parties of 5 or more, and rarely do I dabble in creating something more elaborate than a rum and coke. But it was my birthday, I was having a party, and I was determined to have a signature cocktail. Because when you turn a very sophisticated (which is what every birthday will now become to avoid me feeling “old”) 27, you deserve to have your own signature cocktail. With nothing to go on other than “that whiskey drink with ginger ale I had that one time and liked” I struggled to find something creative, something I had never had before and didn’t involve a million steps. Then it hit me. You like ginger ale, you like whiskey, and you really like cider. Apples go with ginger, and whiskey is alcohol, and therefore goes with everything…so let’s mix them all together! That was literally my thought process. I would really like to pretend it was more grandiose and deep, but no. Like + like + like = really like, right? Thank you, college education. Plus, my birthday signifies (to me, and probably just me) the beginning of fall, and my obsession with buying apples at the farmer’s market, so the addition of hard cider to the mix was probably inevitable. 2. Pour a shot and a half of cider in with the whiskey, add ice if you’re using it, then fill the rest of the glass with ginger ale. 3. 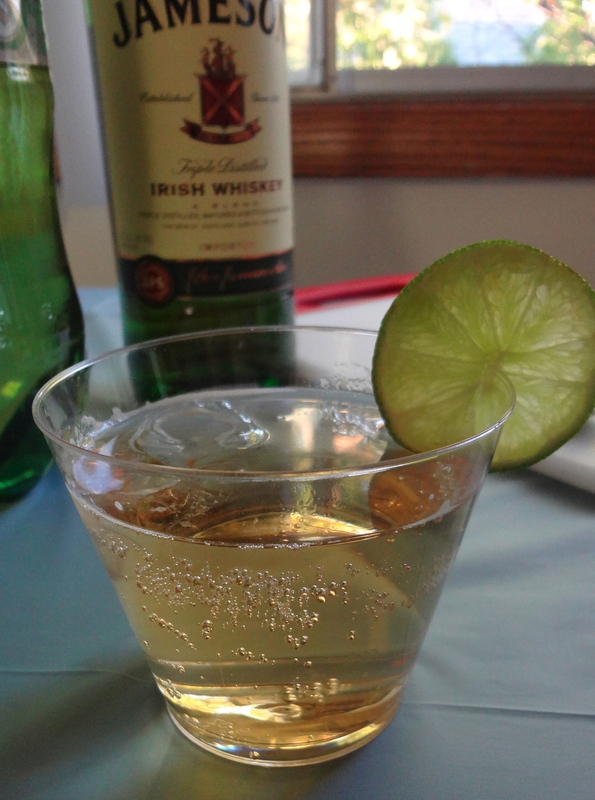 Give the drink a stir, so you don’t get a mega-mouthful of liquor at the very end of your drink (unless you like that) and add a wedge, or slice, of lime. Because fruit is festive. I suppose you could remove the fruit to make it more manly if that’s your target audience, but the men at my party did not complain. 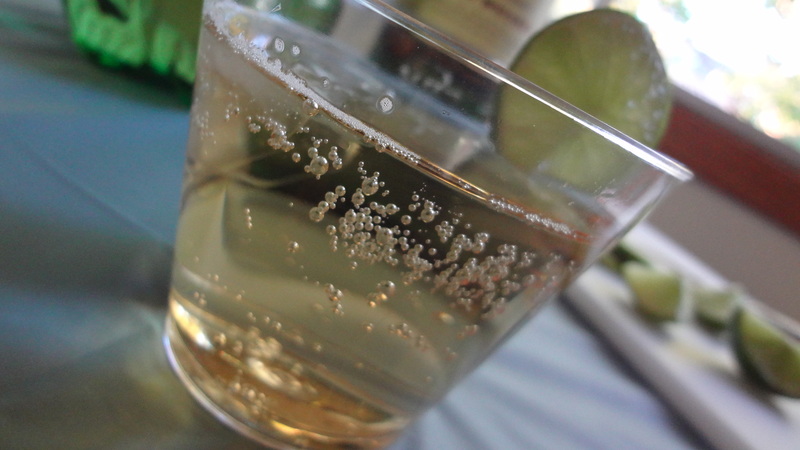 This entry was posted in Uncategorized and tagged apple cider cocktail, big ginger cocktail, cider cocktail, cocktails, fast and easy cocktails, How to make a cocktail, party drinks, whiskey cocktails by theculinarycapers. Bookmark the permalink.